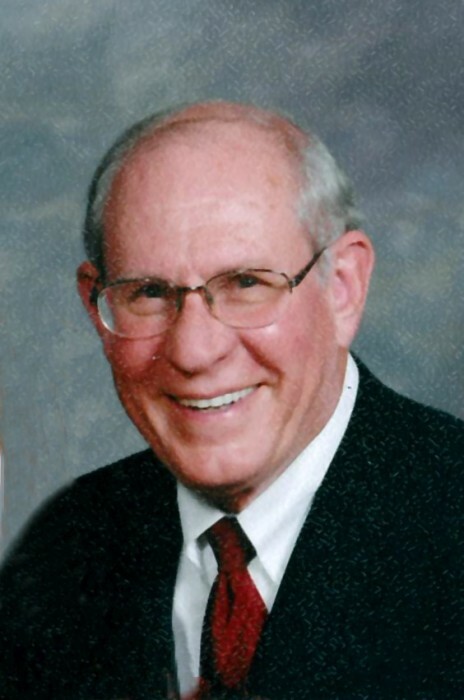 CUYAHOGA FALLS - Robert W. Brown, age 85, passed away February 7, 2019. Robert was born in Akron and resided in Cuyahoga Falls most of his life. He worked at Summa Health System for 30 years in finance. He was past president of Hospital Financial Management Association and was a member of First United Methodist Church of Cuyahoga Falls. Robert was honorably discharged from the Army in 1956. Robert is survived by his loving wife Sally, his high school sweetheart of 64 years. His greatest love was his family that has grown out of his beautiful marriage. He is survived by children Robert (Peggy) Brown, Lori (Rick) Frantz, and Barbara (Tom) DiTirro; grandchildren; Matt (Kelli), Katie (Doug), Daniel, Shalagh (Zac), Steven (Natalie), Erin, Tessa, and 8 great-grandchildren. Funeral services will be held 11 a.m. on Tuesday, February 12, 2019 at First United Methodist Church, 245 Portage Trail, Cuyahoga Falls, OH 44221. Friends may call Monday, 5 p.m. to 7 p.m. at the Clifford-Shoemaker Funeral Home, 1930 Front St. Cuyahoga Falls, Ohio 44221. In lieu of other remembrances memorials may be made to First United Methodist Church. Services entrusted to Clifford-Shoemaker Funeral Home and Crematory, 330-928-2147.